Experts say the reputations of legitimate service animals are being undermined. Working in landlord-tenant law, Oakland attorney Clifford Fried has seen his fair share of bogus service animals. But one particular cat owner — unfortunately, or maybe presciently, named Kitty — was exceptional. While renting an apartment in San Mateo County, Kitty began amassing a brood of felines, despite the property's no-pets clause. She already had acquired four cats by the time her landlord got wind of them. By then, Kitty was habitually flushing cat litter down the toilet, posing a major threat to the building's plumbing system. The landlord finally confronted her. Kitty's cats had to go. "Then a letter came in from a doctor, saying, 'This cat helps detect seizures,'" Fried recalled. It turned out that Kitty had found a loophole in California housing law that allows pet owners to bypass no-animal prohibitions in just about any commercial property. In both San Francisco and the East Bay, it's actually fairly easy to get a pet certified as a "service animal" for a disability. 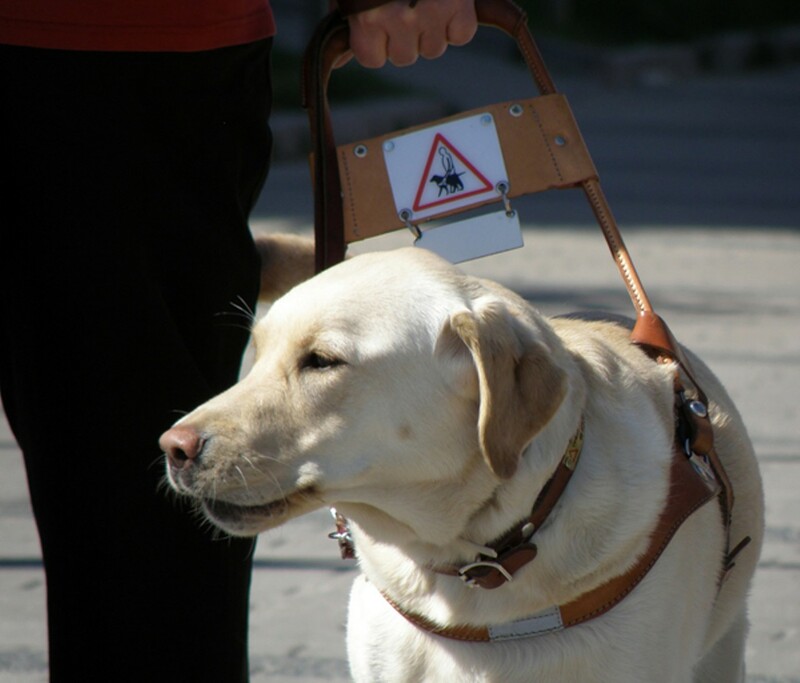 Although the federal Americans with Disabilities Act only recognizes dogs that are trained to perform a specific task (e.g., guide a visually impaired person, or alert a diabetic when her blood-sugar level is low), counties have also dispensed service licenses for animals whose role is purely "emotional" or "therapeutic." In fact, anybody can go on the Internet and order a license from one of the myriad "service animal registries" operating right now. All you have to do is check a box for your disability (it can be anything from asthma to separation anxiety) and shell out $64.95. California is one of the only states that require official identification for service animals, and it's supposed to come from a county rather than a private company. In San Francisco County, you have to present proof of residency and a signed letter from a doctor saying that the animal helps cope with a disability; and in Alameda County, you also have to prove that the animal has been trained. But most business owners or landlords won't demand to see an animal's ID for fear of lawsuit — federal law prohibits them from asking specific questions about the pet owner's disability or demanding paperwork from an animal-training school. Although a skeptical landlord is allowed to ask what task the animal performs, Fried said the line of interrogation can't go any further than that. Contesting a signed affidavit from a doctor is extremely difficult and can often lead to a costly lawsuit. 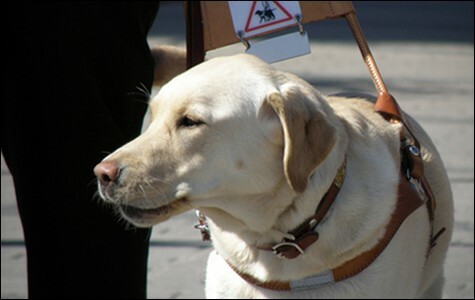 Moreover, since state law ultimately can't override federal law (which doesn't require official certification), it's actually possible for anyone to present his or her dog as a service animal without the burden of proof, said Jim Power, an access specialist and field service manager at the organization Guide Dogs for the Blind. Paul Bowskill, who manages the website ServiceDogsAmerica.org, said that, while his company's $249 certification package is extremely helpful, it isn't any more official than writing the words "service dog" on the back of a napkin and taping it to your canine's collar. At the end of the day, Bowskill said, "there's no piece of paper that creates a service dog." Another reason ADA certification is so difficult to challenge is that it's enforced by multiple government bodies, each with its own set of guidelines. They're often at cross-purposes: While the federal Americans with Disabilities Act only applies to dogs or horses with task-specific training, the Fair Housing and Air Carrier Access acts both give a green-light to emotional support animals. That means commercial property owners aren't at liberty to reject an animal that arrives with documentation from a health care professional — even if the animal is only there to alleviate stress or separation anxiety. Many landlords just throw up their hands. "I always tell my clients, 'Be careful when you advertise properties as being 'pet-free,'" Fried said. "You have to put a disclaimer saying, 'Subject to tenant's rights under federal and state law.'" He said he's seen cases in which one tenant brought a pet into a building, claiming it was a service animal, and then others followed suit, until suddenly the whole building was full of animals. "And then you have the one person who says, 'I have allergies, I moved here because there were no pets,'" Fried said. "And our response is, 'Well, we can't do anything about it.'" Unclear service-animal laws have, in fact, appeared in numerous lawsuits over the past few years, as the US Department of Justice continues to iron out its guidelines and states figure out how to interpret them. Last year, the federal government refined ADA law to say that only dogs and miniature horses could be recognized as service animals, which helped curb a rash of seemingly frivolous pet-certification. (In 2009, the SF Weekly wrote about San Francisco residents who were deriving "emotional support" from a variety of exotic pets, including iguanas and rodents.) But that hasn't really curbed the problem of fake, or at least questionable, licenses, particularly with the proliferation of Internet sites that offer, with just the click of a button, the same kinds of documentation that you'd normally get from an accredited school. These days, Fried says, you can order a guide-dog vest online for only $15. And it looks official. To Mark Ruefenacht, founder of Dogs4Diabetics, that's actually a huge problem. Ruefenacht argues that the faux-service-dog population undermines real service dogs by creating a bad image: "When we have people who say, 'My dog is a service dog,' and that dog has not been trained or housebroken, that leaves an impression on the public," he said. Ruefenacht has seen his fair share of fishy service animals. Last year he was waiting to board a plane at Oakland International Airport with his own dog, a yellow Labrador retriever (now deceased) when he noticed another dog — supposedly a service dog — bound up from across the aisle. "When that dog saw my dog it just jumped up," Ruefenacht said. The owner, who had been sipping coffee and typing on an iPad, spilled her meal when her dog cut loose. She couldn't get her animal back under control. And that's just one instance of many, he said. In the past year alone, he's run into many unruly "service" animals in airports, restaurants, and other public places. In most cases, the proprietors can't do anything about it. Technically, a business owner can eject an animal if it's not behaving the way a service animal should — meaning, if it's snarling at people or defecating on the floor — but the animal can't be permanently banned unless it misbehaves on repeated occasions, Power said. "I get numerous calls a week from proprietors saying, 'Someone is feeding a Chihuahua in their lap,'" he said, despairingly. "To me, that's eroding the public good will." Fried agrees, adding that, while he hopes most doctors diagnose service animals in good faith, he's seen a few rogues. Kitty's doctor was a perfect example. "I did some research, talked to medical authorities, and learned that in fact there are dogs that are trained to detect oncoming seizures, but I couldn't find any such example for cats," he said. So he and his client decided the service cat claim was bogus, and proceeded with their eviction. Right before the case went to trial, Kitty changed her tune and got rid of all her cats. Fried considered it a Pyrrhic victory.